Would you like to have your say about the services you receive at The Gables? 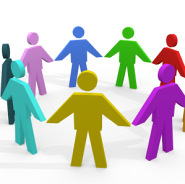 We would like to hear our patients’ views, and have developed a Patient Participation Group (The Gables PPG) in order for patients to be involved with the development of services. If you are a patient here, and would like more information or to join the group, please email gables.a84013@nhs.net with your name and DOB. Healthwatch Northumberland Annual Survey is now live!